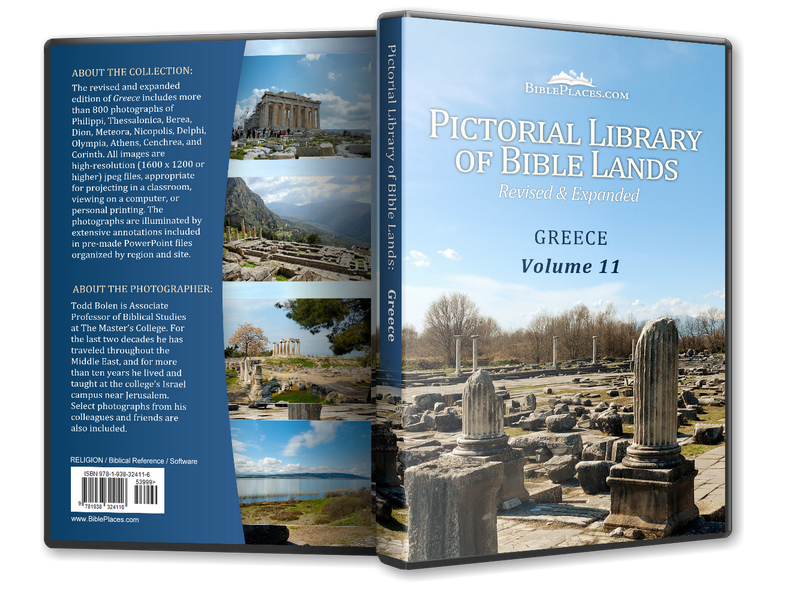 Most scholars believe that Paul traveled to Athens by boat from Berea and thus it is likely that he entered the city through its large port of Piraeus. The port was originally built in the 5th century BC and still thrives today. 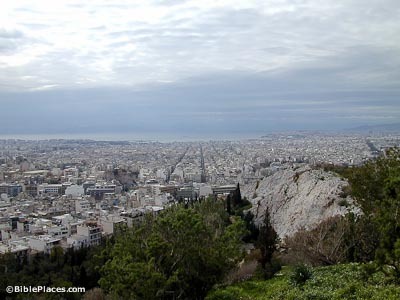 In ancient times Piraeus was connected to Athens (6 miles distant) by the Long Walls, two parallel walls 600 feet apart. 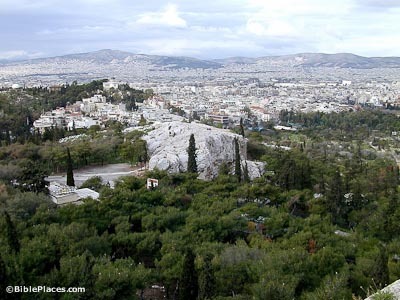 Mars’ Hill is a prominent site located 140 feet below the Acropolis and in Paul’s day was the meeting place of the main governing body of the city. While some think that Paul’s appearance here indicates some sort of judicial proceeding, most see the reference as only the location of his preaching (Acts 17). 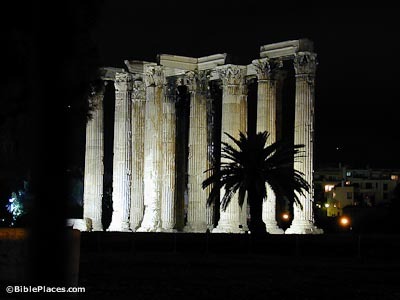 Begun in the 6th century BC, this temple was finally completed during Hadrian’s reign in the 2nd century AD. Antiochus Epiphanes of Seleucid rule did much construction on the site between 174-165 BC. Today 15 of the original columns are still standing. 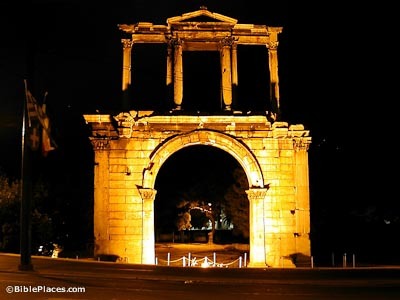 This two-tiered covered colonnade was a gift to the city by the king of Pergamum, Attalus II (159-138 BC). 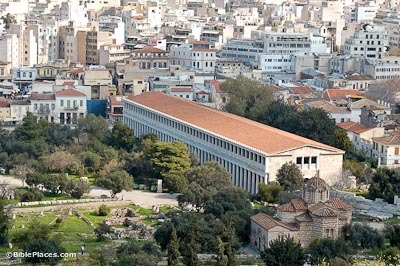 The stoa was restored in 1953-56 so that it might house the artifacts from the Athens’ excavations being carried out by the American School of Classical Studies. It served as an example for the model of the Royal Stoa in Jerusalem (now on display at the Israel Museum). Built by the Athenians in honor of the emperor Hadrian in AD 135, this marble gate was on a street leading from the ancient city to the new Roman one.